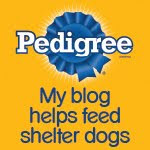 Today's 'theme" over at BlogPaws is "Dress it Up"! Check out this week's featured pooch: perfectly groomed and wearing her Sunday best! Meanwhile, back at the Ohio ranch...You know I'm not a fan of wearing anything but my birthday suit, but this bow tie was definitely tolerable. And after all, I'll be walking the "red carpet" for this Sunday's Academy Awards! How about you? 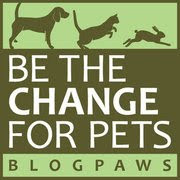 Now let's head over to the BlogPaws Wordless Wednesday Pet Blogger Hop and see if any of our bloggin buddies are spruced up! You look very dashing, Bocci!